These are basically a scrapbooking kit. 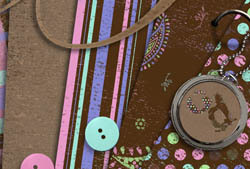 Made to be used to embellish and display photos, create your own scrapbook pages or web pages. These have various usages, however, and could be used in all kinds of designs.